Following Apple's announcement of a Security Bounty Program, Zerodium has tripled its bounty offering $1.5 million for a jailbreak of iOS 10. 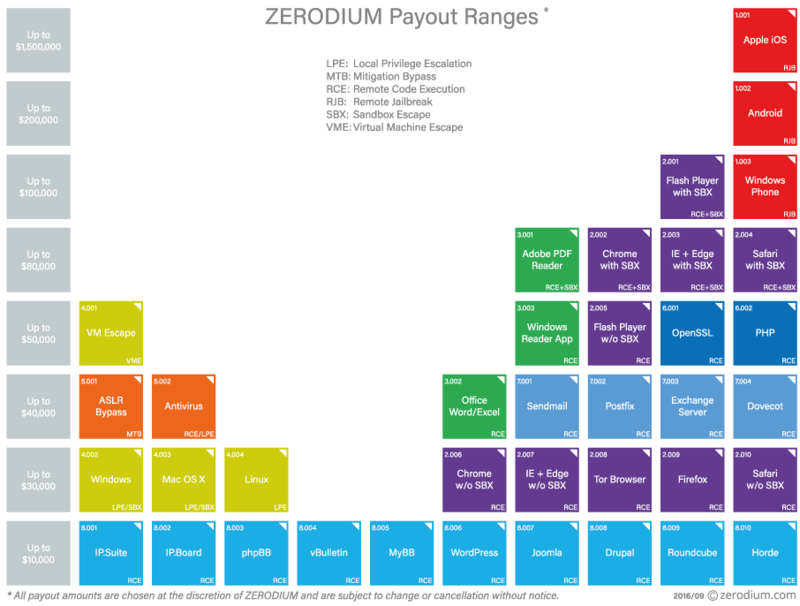 Zerodium says it pays premium rewards to security researchers to acquire their original and previously unreported zero-day exploits affecting major operating systems, software, and/or devices. Notably, Zerodium previously offered a $1 million bounty for the jailbreak of iOS 9. A team won the money about a month and a half later. The higher bounty this year may be due to Apple's announcement of its own bounty program which pays up to $200,000 to developers who discover vulnerabilities in its software.